Square Enix announced today that Day One Final Fantasy XV sales have exceeded five million units, making the newly released installment the fastest-selling in franchise history. 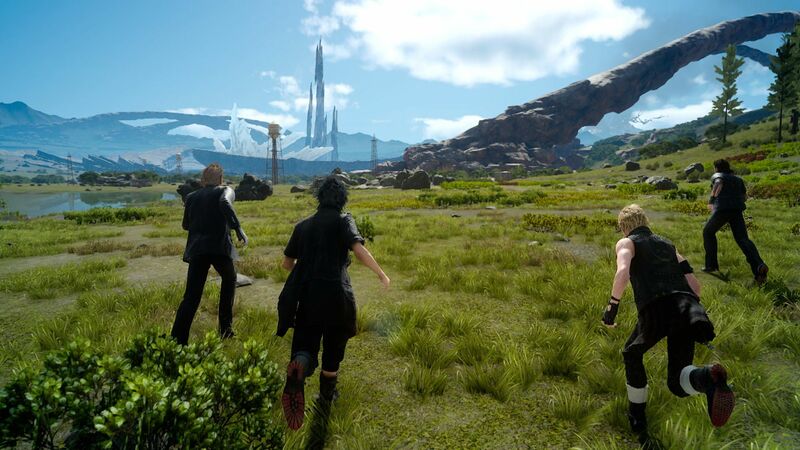 Admittedly, as pointed out by the press release, this is also the first game in the series to have a global simultaneous launch which certainly helped Day One Final Fantasy XV sales. It seems likely that the game will be eventually able to surpass Final Fantasy VII’s global sales record (over 11 million units sold). The press release also mentions that the game also broke the record for most downloads of a game on release day in Japan. In the Asian region (excluding Japan) it also broke the record for total game sales on day one, including packaged version units shipped and digital downloads. Chris Wray recently posted an early impressions article detailing his initial hours in the world of Eos. He liked what he played a lot, with the exception of the story. Thankfully the shallow story isn’t too much of an issue for now. So far, the absolutely absorbing gameplay, the interesting open world and the side quests and minigames have more than made up for it. Hopefully, as I keep playing through the game, the story will pick up some of the slack. Final Fantasy has always been a blend of excellent story and great gameplay. What also helps a lot is that the game is simply fantastic to look at. The scenery, characters, monsters and even the weapons are exquisitely designed. It’s absolutely gorgeous to look at, particularly so when you use a spell flask, see the fire burn away at the foliage, or the sky go dark as the thundaga spell you’ve just used comes into effect. It’s especially effective when the day-night cycle comes into effect, changing the look of the world and even the sort of monsters that appear. Final Fantasy XV is probably the best in the series so far for actual gameplay. Eleven and a half hours in, I’m finding it incredibly fun and enjoying just exploring the world, fighting and doing quests. All I can hope now is that the story brings itself to the same level. Check back soon to find his full review of Final Fantasy XV.